Astrologers are always being asked questions. By open-minded members of the public. By closed-minded-members of the public. By one’s friends and family. By clients. By students. By interviewers for various media outlets. I thought it might be interesting, and fun, to begin this new blog by running a series of question and answer sessions on any aspect of astrology. As well as being a challenge and providing me with some fun and an impetus to keep posting each week, I hope the blog will encourage questions from people of all ages who are interested in the astrology which goes far beyond the limitations of the Sun Sign columns. It would also be great to create a new astro-community online and see where it goes and what I end up doing within it!. I’d like to put on record my gratitude to Mary Plumb of the Mountain Astrologer blog who kindly invited me to be Guest blogger there on 18th February 2013. I decided to write about some of the most memorable questions I’d been asked as an astrologer over the years, and was so pleased with the lively responses to that post that a seed was planted in my mind, from which has sprouted this new blog! Thanks, Mary! You supply the questions – preferably by leaving comments on the blog posts, or by email. I will do my best to supply adequate answers…. I anticipate a mix of questions: from open minded and interested members of the public, who know very little about astrology, but wish to find out more. And from other visitors who may know anything from a little to a lot about astrology. I hope I can pitch my answers in a way which offers something to the whole range! Experienced astrologers who visit and feel they can add their own perspectives, information, etc etc to my efforts, thereby expanding the knowledge offered – please do use the comments boxes to contribute to the conversation! I hope always to get the balance right between general interest and private sensitivity. And if there are issues you would like to discuss in more detail than is appropriate on this blog, you can contact me for a private reading. Details HERE. Astrology: Questions and Answers by Anne Whitaker is licensed under a Creative Commons Attribution-Non-Commercial-No Derivative Works 2.5 UK: Scotland License. Based on a work at www.astrologyquestionsandanswers.com. QUESTION; what is the probability of marriage? What House, Sign and Plants do I look at for a second marriage? in order to address these questions, you need to consult with a qualified professional astrologer in your area who will have to spend a considerable amount of time drawing up the birth charts, then arranging a meeting to discuss them with you. This is highly skilled work so you will need to be prepared to pay an appropriate fee for the astrologer’s time, experience and expertise. I trust this information is helpful to you – and anyone else with similar questions visiting this site. Thank you. Have been studying and cannot find which house rules 2nd marriage and/or what planets. Can you suggest a book re: my original question? You could try reading Howard Sasportas’ The Twelve Houses which is one of the definitive books on houses. NOTE: on 24.3.16: As part of the process of updating this site, I have removed P.S as a separate Page, incorporating it into the ABOUT Page here. However, there was quite a bit of interesting Q and A discussion in the comments on that Page which I thought was a pity to delete. So – I’ve put the whole list into this one Comments box. Enjoy – and, of course, feel free to contribute! nice to hear from you again! I am currently taking a rest from blogging because of tendonitis in my left hand. So, a brief reply….There is a whole branch of astrology known as AstroCartography, in which your natal Birth Chart is projected onto the map of the earth. From this, one can deduce where in the world it would be best to live to get the best out of different energies in our natal charts – or where it might be best to avoid. eg John F Kennedy’s Pluto line ran right through Dallas, Texas. p.s I’ve decided to place this reply as a new post on my Home Page since other people might be interested in the topic. So do check it out there, and leave a reply if you feel like it. I wanted to ask you something – I am 36 and my husband passed away unexpectadly last year (he was 38). 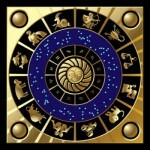 We have had our horoscopes checked (birth charts) several times by different astrologers and have had our kids horoscopes done as well. All of them suggested a long life for him. We have also tried alternate astrologies like ‘nadi jothidam’ (pl google for the meaning). In fact, after he passed away we took his horoscope and mine to astrologer and the astrologer says there is nothing to predict a shorter life span. I know his parents check horoscopes as well ( and no major problems predicted). Why do you think all the forecasts failed to predict this or at least potential problems? I am so sorry to hear about your husband’s unexpected and early death, Thank you for this challenging question which raises a number of important issues. I will return to answer it in the next few days when I have some time to reflect on it and do it at least some measure of justice. you have certainly through your own painful experience and natural desire to find some answers, brought to me a question with which all astrologers should – and do – grapple, since it raises such fundamental ethical issues. The first one is whether astrologers should attempt to predict death, or not. Most reputable astrologers recognise that they should not do this – I count myself very definitely amongst them, as does Eileen Nauman a link to whose very useful and informative article appears below. A very short and blunt answer to your question, however, is this: astrologers’ track record on prediction over many centuries, indeed millennia, is very mixed indeed. Sometimes they have been stunningly accurate in predicting how the planetary energies in an individual’s or a nation’s horoscope will manifest. For example, a famous one was made by Luc Gauricus in 1555 to the effect that King Henry II of France (then aged thirty-seven) was in danger of death in his forty-second year, by a head injury incurred in single combat in an enclosed space. And five years later Henry duly died of a lance splinter which entered his eyes and pierced his brain. However, there have also been some spectacular failures, e.g., for astrologers to predict that the Munich agreement of 1938 would lead to World War II. The most striking recent individual example of failure I have heard – via his son, in an astrology seminar during the 1990s – is that of a well-known European astrologer. This man predicted the day of his own death, and went public with it. What happened on the day? He developed a very bad cold…. I did some research for you on the internet and found this very comprehensive article by medical astrologer EileenNauman which covers all the points I would have made, and many more besides! I do hope that what I’ve said in this brief post, plus reflection on the material in the articles, helps you to arrive at a viewpoint which eventually brings you some peace. The articles I posted for you especially the second one should help you to see that no-one can pin down how any energy pattern – human included – is going to manifest. Uncertainty is a property of the universe. Astrologers cannot extract definite answers but only work with probability. Rather like physicists…. I found it very interesting because I myself am a twin, and can relate to your article. Just to give you a little background info… He’s male, I’m female/the oldest, and we were born exactly one minute apart due to a caesarean birth. I’m quite new to Astrology, and I find the more that I look into it, the more it rings true, not just for myself but for friends also! However the topic of twins has always stumped me. My brother’s chart is nearly identical to my own and yes our lives do correlate! but why is it that we both have different interests, and are pursuing different fields? Despite the fact that we’ve had the same upbringing. I just don’t get how my chart can be split in two! – especially seeing as it is so clustered to begin with.. If you read this it should help to answer your question. There are also links to other sites which will broaden your understanding too. Hello Anne, I feel that you have seen and experienced so much of my own journey…amazing. Things no one I knew could comprehend. Spiritual, cosmic, other-worldly experiences that ranged from terrifying to infinitely joyous and profound. Interestingly though my astrology is that of having Pluto in my 1st house in Leo at 22 degrees, which has made my whole life one transformation after another. Just when I think I am in the right space it all gets ripped apart and I go to another level and layer of self and perception of the world, not easy but I have come to accept that as my journey. Thank you for sharing your perspectives. Would you calculate secondary progressed chart (angles) for new residence if you moved across globe (Europe to USA). If I calculate my progressed chart for my birth place, the ascendant in particular doesn’t ring any bells. Thank you. Well, Frankie, I have always just calculated secondary progressions from the natal horoscope at birth. However, I see no problem with also calculating progressions following major relocation like yours, using current location, and seeing what comes up. I think it’s important not to be too doctrinaire in those matters! For example, my natal midheaven Is 28 Taurus.Relocated to where I have lived for the last 40 years, i.e. Glasgow and Scotland, it comes up as 1° Gemini, which makes much more sense to me in terms of what I have done careerwise over the last 40 years. So I see no reason why one cannot apply the same rationale to a progressed horoscope. Hope this helps! Thank you for the answer. However, that would mean I (and you, too:) have relocated chart Asc/MC, progressed Asc/MC (birth place) and Asc/MC progressed to new residence. That is three different Midheavens, for instance. I guess the asnwer may be to watch transits of Sun or Mars to all those three midheavens or Ascendants and see what triggers events the most? Yes, observation is always the way forward… And Mars is a great trigger to observe! Is this lucky or unlucky?